Best Screencast Video Recorder Apps for Android records your activity on Android for creating professional guide for your blog or for your dearest one. After many weeks we are publishing another article on Best Android Apps series. There was a request for iOS Apps for similar series, it does not appear to happen before January of the coming year. So just like our YouTube Video guides, you can actually create a professional guide video with these Best Screencast Video Recorder Apps for Android and a bit video editing. Although we kept the option Premium or Free as an option in this post on Best Screencast Video Recorder Apps for Android, as we said before we will exclude it the future posts. Simply copy the named of the App in this list of Best Screencast Video Recorder Apps for Android and search it in Google Play. 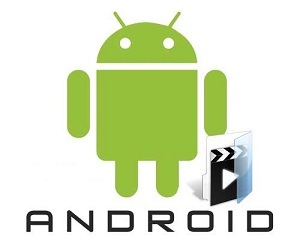 Screencast Video Recorder and Demo Version: Root Needed and Does not work on Galaxy Nexus. Otherwise this is a very good software. Z – Screen Recorder PRO : Record video from the screen of your device to make app promos or tutorials. Needs a Rooted device. You have to connect with PC with USB cable in debugging mode and Under the Extras menu in Program running on Windows, you will get the option to capture your Android’s screen video. This good because it does not need rooting and ultimately we need to Edit the video on computer for pro touch. Even you do not need to create guide, actually you will enjoy after watch of your own actions (always look sluggish to one’s self !) with these Best Screencast Video Recorder Apps. This Article Has Been Shared 5529 Times! Are there any yet? I notice you posted this question a year ago and I am searching for a skype video recorder for android os now in october 2013 and still can’t find one. Why? It couldn’t be that hard to develop. There are quite a few apps for video recording from the camera lens, but I can’t find any that record from the screen. With the millions of Android users, I can’t imagine why a good app isn’t available, even at a small cost, it could be worth a fortune. Cite this article as: Abhishek Ghosh, "Best Screencast Video Recorder Apps for Android," in The Customize Windows, October 14, 2012, April 23, 2019, https://thecustomizewindows.com/2012/10/best-screencast-video-recorder-apps-for-android/.